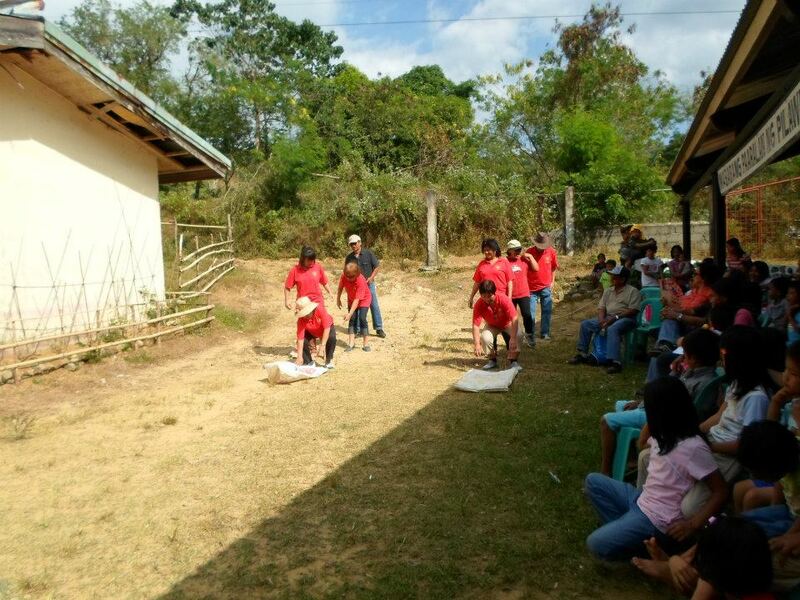 Members of the various Sagunto organizations (SAUSA, SFAL, SUKA) converged on the small school in Pilawan, a sitio of Sagunto, last December to share merriment with the residents and children of the remote mountain locale. The group went up to sponsor a Christmas party and a school project for the benefit of the children and also to share in the laughter and fun. More photos of their charitable activities will be posted here soon. In the meantime, enjoy the hilarity and get a small taste of the joy shared by all. First video is the race between SFAL President, Judy Digay and SAUSA President, Boying Annaguey. The following video is of the ladies from both groups. Enjoy! Videos courtesy of Raul Digay via facebook. This entry was posted in Featured, Sagunto, video and tagged 2012 Homecoming, balikbayan, homecoming, Pilawan, SAUSA, SFAL, SUKA, video on February 27, 2013 by Jeanette. ayoo talaga nga minragsak da naiyaw-awan man da taon, sayang..sanabali bareng addanto maurnong pag plete next time nga kunada.. Congratulations SFAL job well done nga talaga. Ti sumaruno nga “Balikbayan Re-union” December 28, 29 & 30, 2016 that is four years from now so there should be no excuse for you not to come and other Saguntonians around the world. SFAL & Canada will be sponsoring this time so start saving now for the next Balikbayan Homecoming Re-union.